When Prime Minister Tony Abbott announced Bronwyn Bishop's resignation as Speaker, he said, 'what has become apparent ... is that the problem is not any particular individual; the problem is the entitlement system more generally'. This remark was met with some degree of astonishment, coming from the leader of a political party with an ideological fixation on individual responsibility. 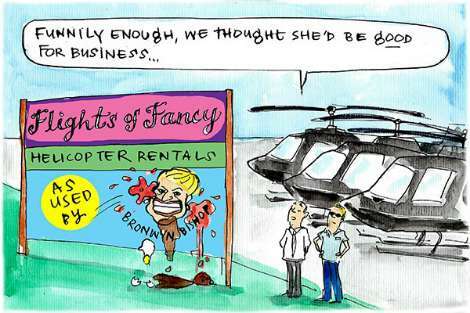 Over the three weeks that Bishop faced criticism over her $5000 helicopter flight from Melbourne to Geelong to attend a Liberal Party fundraiser, the running defence was that it was within the rules. It seems that her sense of the controversy was not that she had done anything wrong but that the large amounts of money involved simply 'looked wrong'. She apologised for the perceptions she engendered. Her comments capture the sense we often have that technicalities are the first and last resort for defending the unethical. It is the acute logic of children caught red-handed: 'You only said that I could have a snack. You didn't tell me not to eat the whole cake.' Since Bishop's resignation, Treasurer Joe Hockey and Labor frontbencher Tony Burke have also faced questions about their own expense claims. The political context bears mentioning. These are the same parliamentarians who wish to introduce a four-week waiting period for 75,000 young people eligible for the dole (though there is no direct evidence that it helps under-25s to find work); whose response to housing unaffordability is to tell first-home buyers to 'get a good job that pays good money'; who accused mothers of 'double-dipping' paid parental leave though the Labor-instituted scheme was designed to maximise benefit for newborns; who said that an increase in fuel excise would not adversely affect poor Australians because they 'either don't have cars or actually don't drive very far in many cases'. The entitlements issue may only be about optics, but given that it continues to fester despite Bishop's resignation, other solutions seem required. 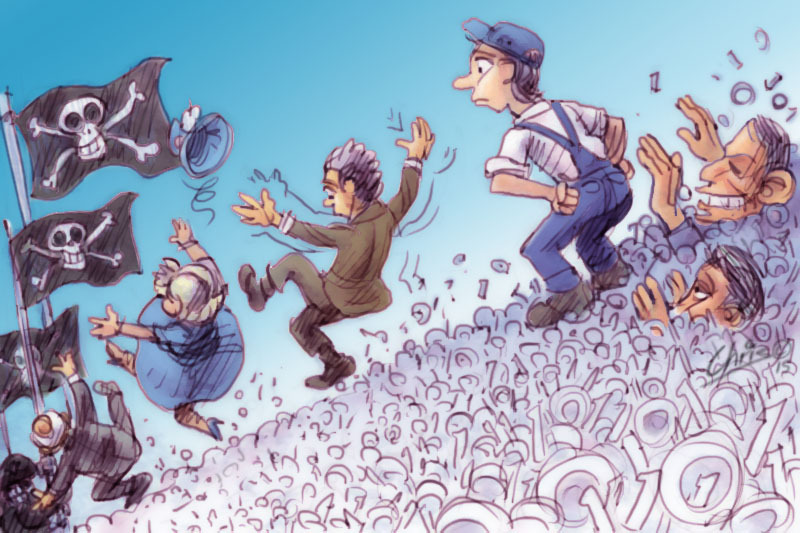 It is not easy to frame what those solutions might be; this episode has not been so much a surprise as a resounding validation of hardened hostility toward the major parties. The evocation of entitlement rules, in particular, confirms what ordinary Australians often sense: that rules are for exonerating the powerful. It is the fault of 'the system' when privileged people are able to exploit its defects, but those with lesser means are held in contempt just for accessing it. Words like rorter, bludger and leaner only ever seem to apply to those who apply for welfare. Their unmet needs become a manifestation of irresponsibility, a flaw of character. But a politician who draws down unreasonably on entitlements or a banker who earns stratospheric bonuses — sometimes during a period of 'restructuring' — are seen as passive beneficiaries of the system. Only one Wall Street executive went to prison for his role in the US credit crisis that precipitated global financial instability. Was not the system that facilitated toxic mortgage products populated by hundreds of individuals who made purposeful choices? It seems the case that only those with power or capital are allowed to blame systems. The rest of us get to be individuals who make choices. The 23-year-old Iranian asylum seeker who was murdered at Manus detention centre made a choice. The 22-year old Aboriginal woman who was kept in a Western Australian jail for four days over a $1000 unpaid fine and died there made a choice. The threshold for an individual being held responsible for their choice is ironically much, much lower for those with severely limited choices. This is why systems are only ever regarded as defective when people with means get caught behaving badly: the system allowed unethical behaviour; individual choice becomes an abstraction. The choices made by less privileged people seldom get to be that abstract; the system they inhabit is designed to anticipate bad choices whether they occur or not. The consequence is usually concrete. In the United States, dead black men and women are apparently making bad choices all the time. Systems are never actually value-neutral. They are constructed to preserve power and keep others in their place. We see this in the moral inconsistencies around blame. If the Prime Minister can somehow recognise that the entitlements system has facilitated lapses in judgment, then it is imperative that he also mend those systems that facilitate even greater failures in duty of care, decency and transparency. No one dies from politicians chartering private helicopters with public money, but people have died in jails and detention centres funded by taxpayers. That one defective system has merited a response but not the other is too depressing to contemplate. Well said, Fatima. To many Australians the balance on the scales of justice seem skewed one way & it is little wonder that the elites of this country are held by many to be beyond the pale. But another point to ponder is whether comments such as your article will ever make it beyond the smokescreen that appears to shield those who should be taking notice of this disquiet. This article carries tremendous force. It is wonderfully constructed, but that would not deliver the brilliance if the content were not so true. It is interesting to consider three situations in which citizens might unlawfully take from or not contribute to the public purse. The first, is the current topical one, of a politician who claims expenses of a dubious nature. The politician may be required to pay the money back. Secondly, a business person who is unable or unwilling to pay lawfully due taxes: he/she incurs a debt, which must be paid, plus interest and possibly administrative penalties. Thirdly, a dole recipient, who claims/ receives social security benefits to which they are not entitled. They must repay the money but may also be prosecuted through the courts, and the penalties include imprisonment. There is more than one reason to prefer being a pollie to unemployed! Dear Fatima, your slings and arrows strike home on this 'cognitive dissonance', of which you speak. The hypocrisy is palpable. I especially liked your reference [link] to the ONLY Wall Street executive who went to prison for his role in the US credit crisis. That documents the practical limits to Capitalism under US democracy. It should keep us all on guard. The Age of Entitlement is over - unless you're the Emperor or of his class. Whether you're in parliament (apparently from both sides) or the world of big business. It is good and right that the lowly peasants are punished for their slightest misdemeanour - and being poor or disadvantaged is the most serious. Absolutely unforgiveable, a sign of moral torpor and laziness to so many of those greater mortals on their lofty Olympus, for whom the gravy train will never cease to depart the station. Olympians, however, are untouchable. If you are one of the chosen, it is never your fault. Fatima's promethean article exposes the Emperor and so many of his cronies. The new haute couture is "sans slip de bain" and many are looking rather naked. And it's not a pretty sight at all. O to be a Republic! WE could shed these hangovers like "entitlements". We could then have "Allowances" for all citizens. Go over the line at possibility of being charges with fraud. Thank you Fatima. If only those in power cared. Well argued. The powerful attract more power and wealth to themselves. Nice stuff Fatima. Indeed, the vilification and blaming of sundry individuals and outgroups is a very conscious communication strategy by pollies, lobbies, the financial press, HNWIs etc. to keep the majority diverted and in check. Powerful response to a flawed 2 tiered system democracy has reached a new low point. Methinks this essay oughtta be sent to each reader's local MP plus all Cabinet members plus the PM's office.